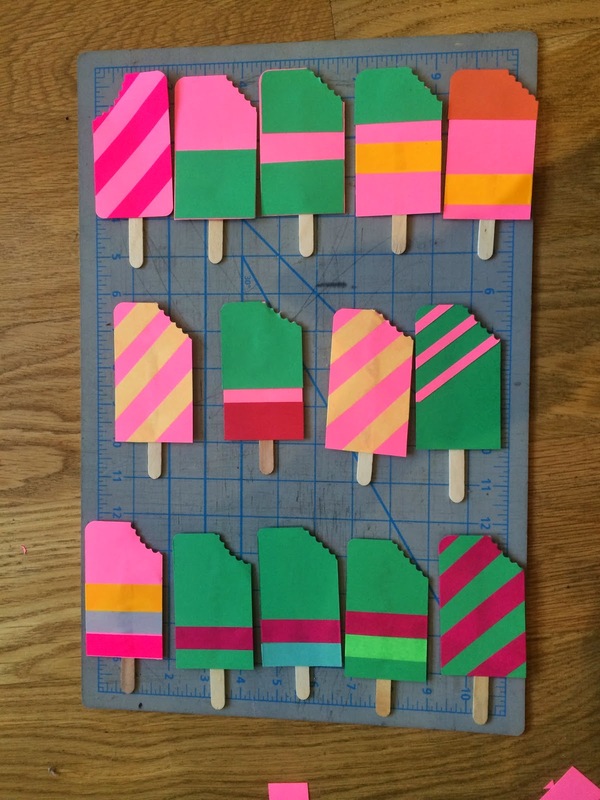 Inspired by this popsicle garland idea, I thought it'd be fun and easy to make my own popsicle thank you cards for the gifts that my 3-year old received during his July birthday party. 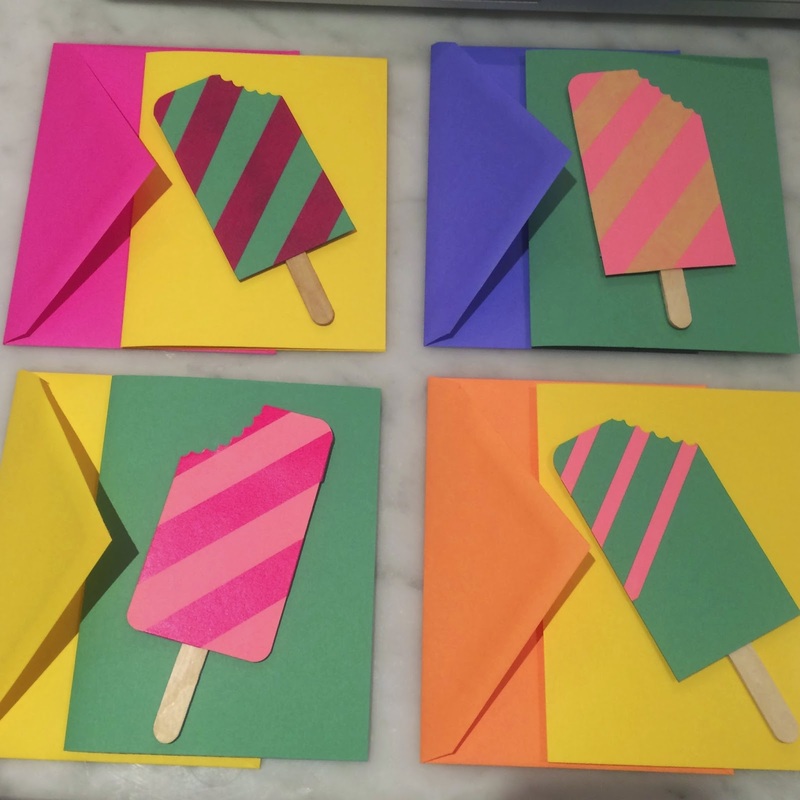 Here's how you make these colorful treats, step by step, in pictures. 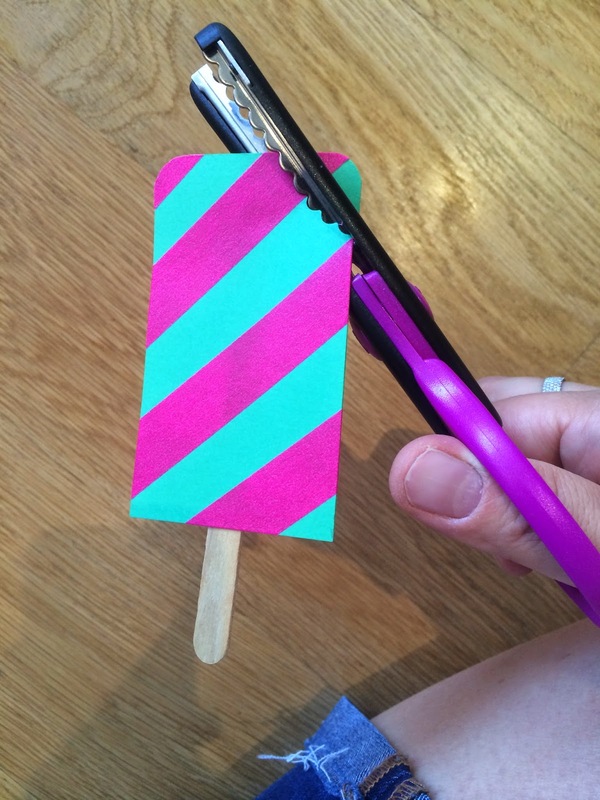 Now, here's how you make the cards! 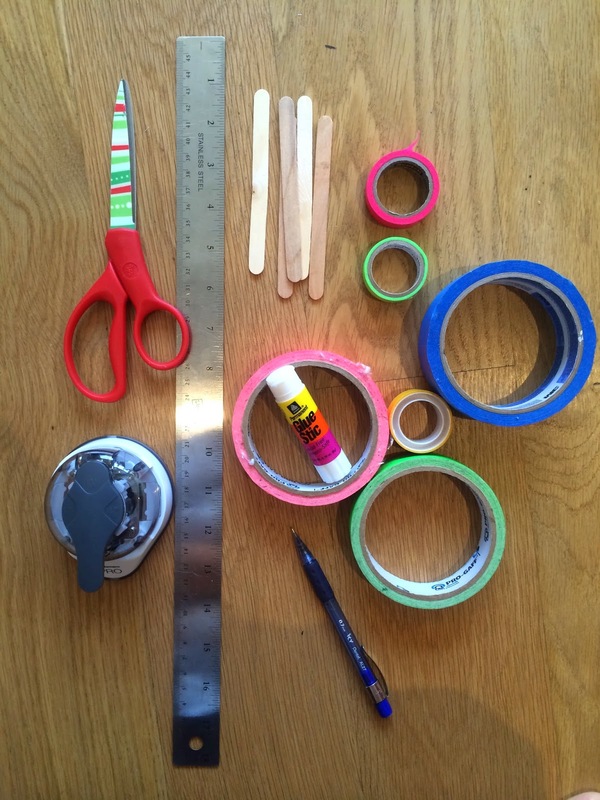 Good thing I hoard crafting supplies. 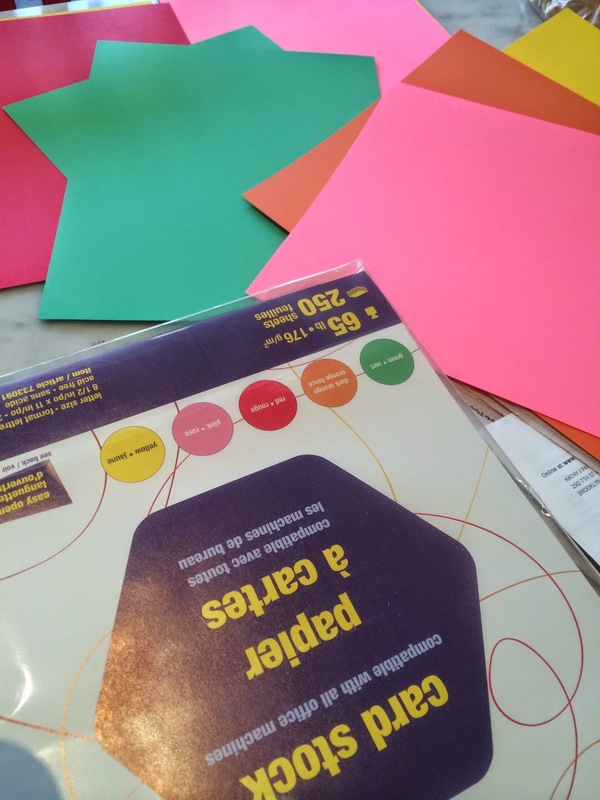 Glad to have this colorful card stock on hand. 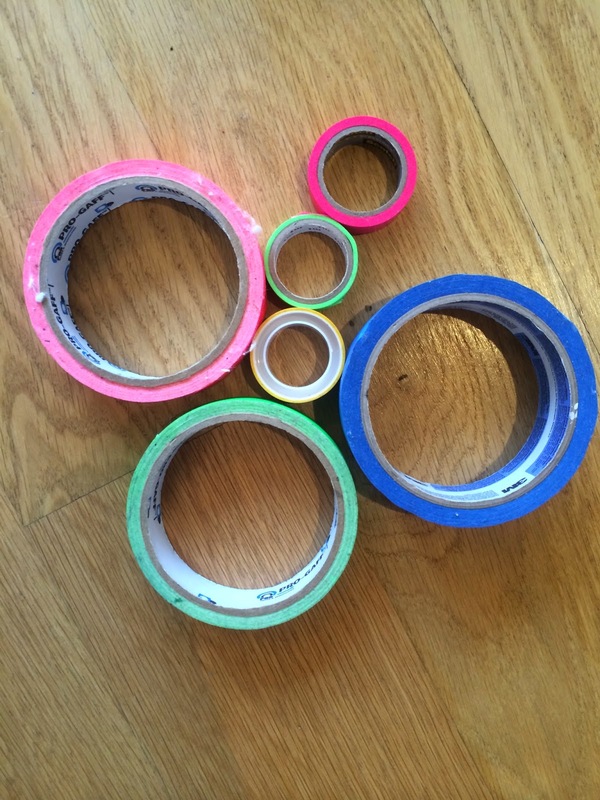 Hm, what color combinations strike my fancy? 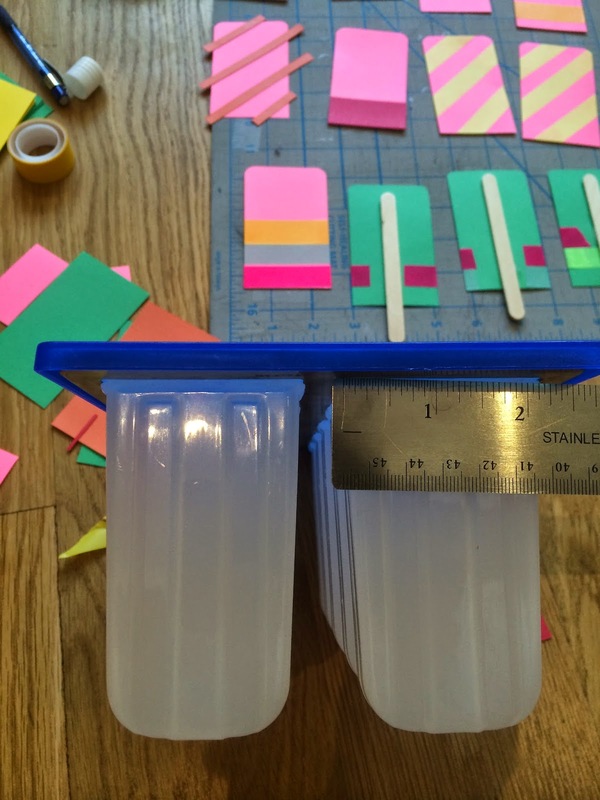 Measuring the exact dimensions of the popsicle molds because authenticity is my calling card. 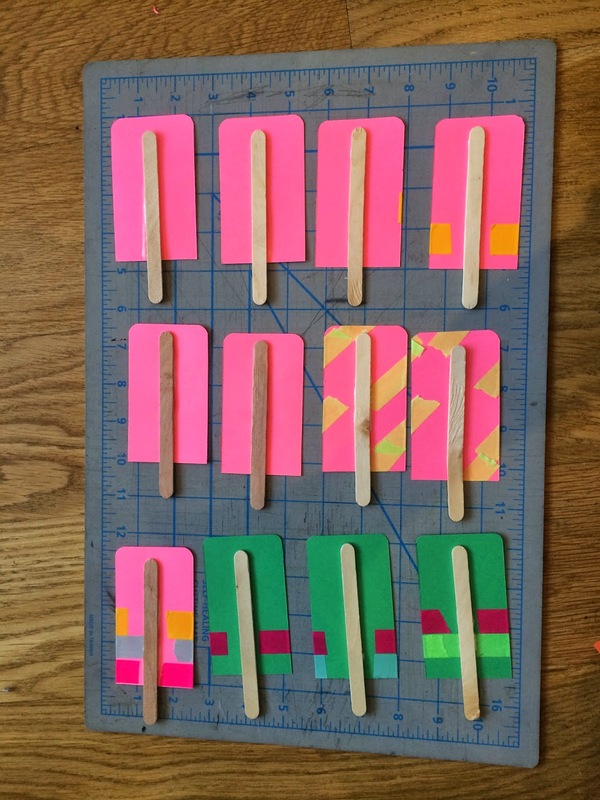 Once I had the popsicle mold measurements, I found out how many popsicles I could make with each sheet of card stock. 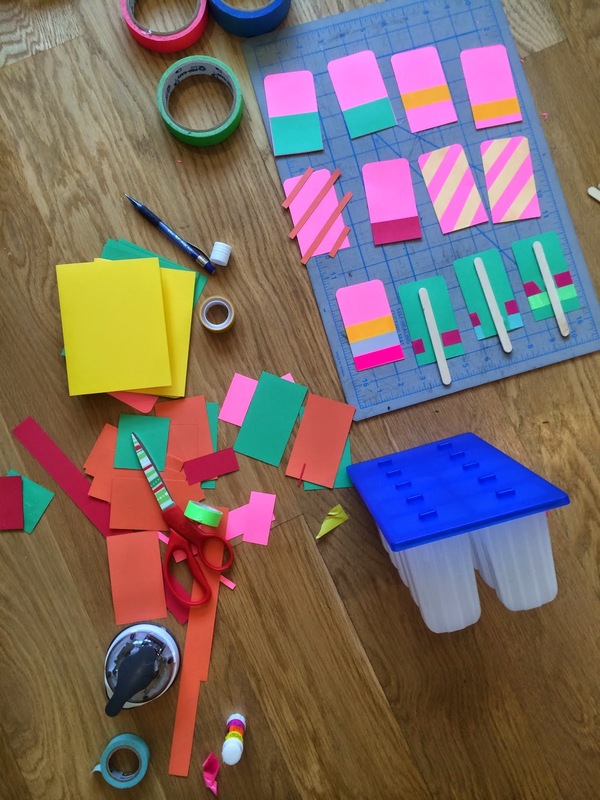 My husband and I cut out the rectangles using an Exacto knife. 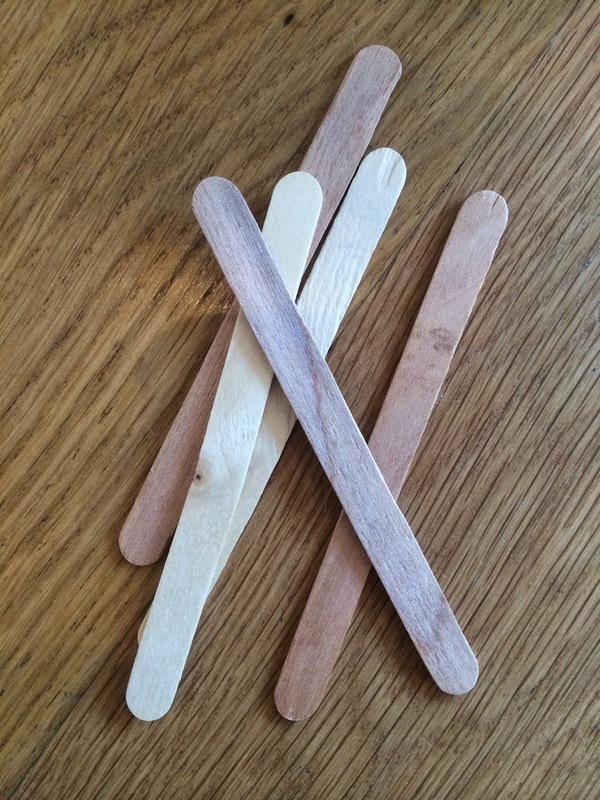 Then we used the corner puncher to round two corners on one of the short sides. 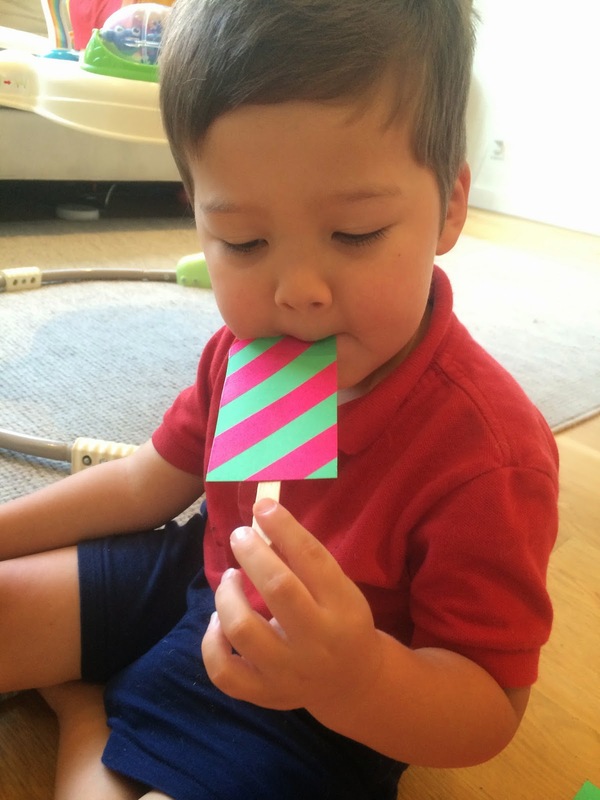 We then designed the popsicles with tape and pieces of card stock. I like stripes, so I went all out with stripes in every shape and form. 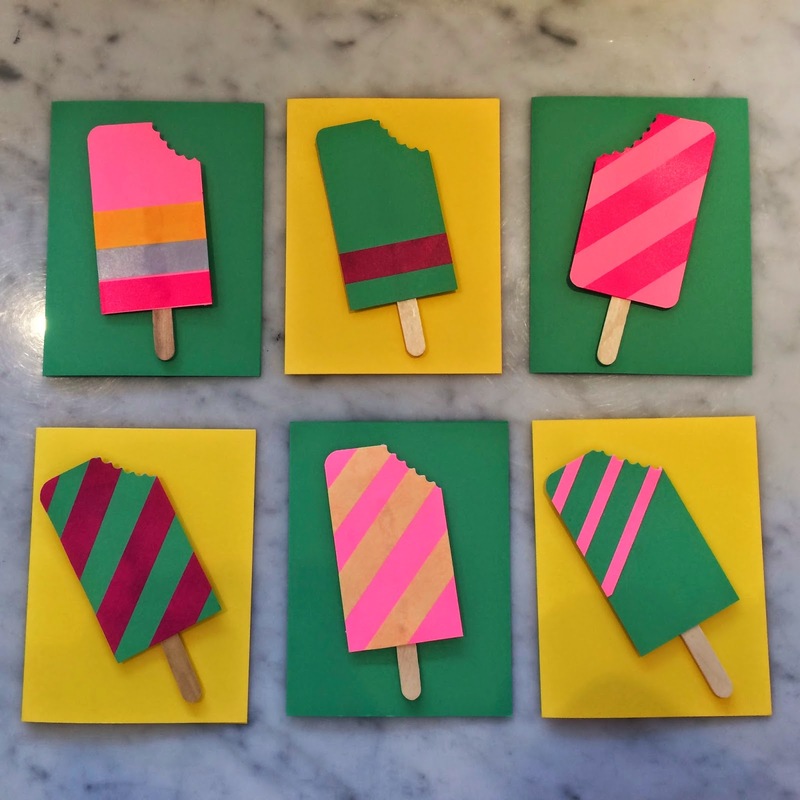 I made the popsicles into thank you cards, but you could have a lot of fun with them as party or room decorations or a photo backdrop. 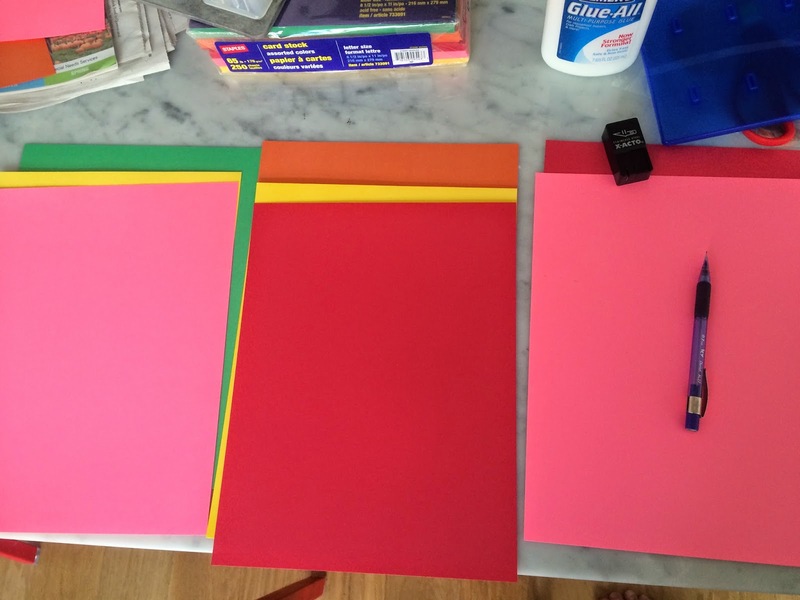 You could give a set of blank cards and envelopes as a little gift. So real, they fooled my son. And he's SMART. 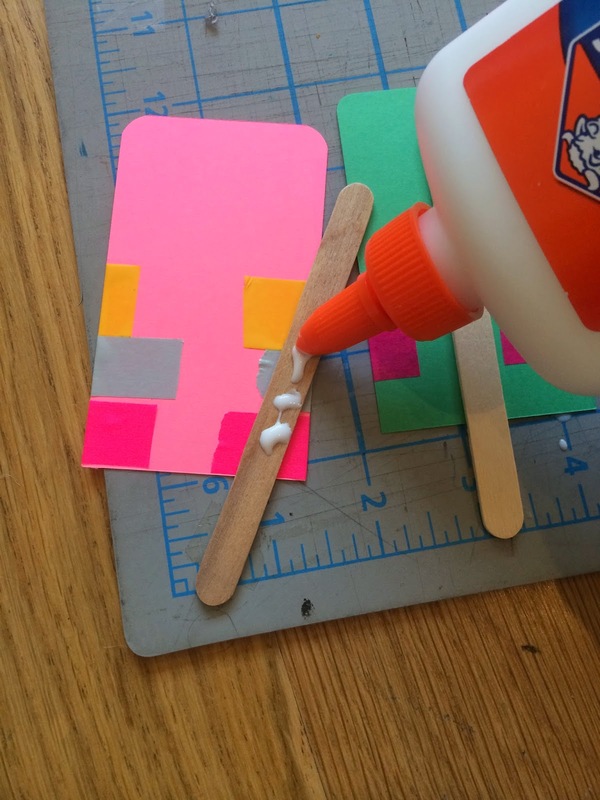 Glue the popsicles onto the folded cards. 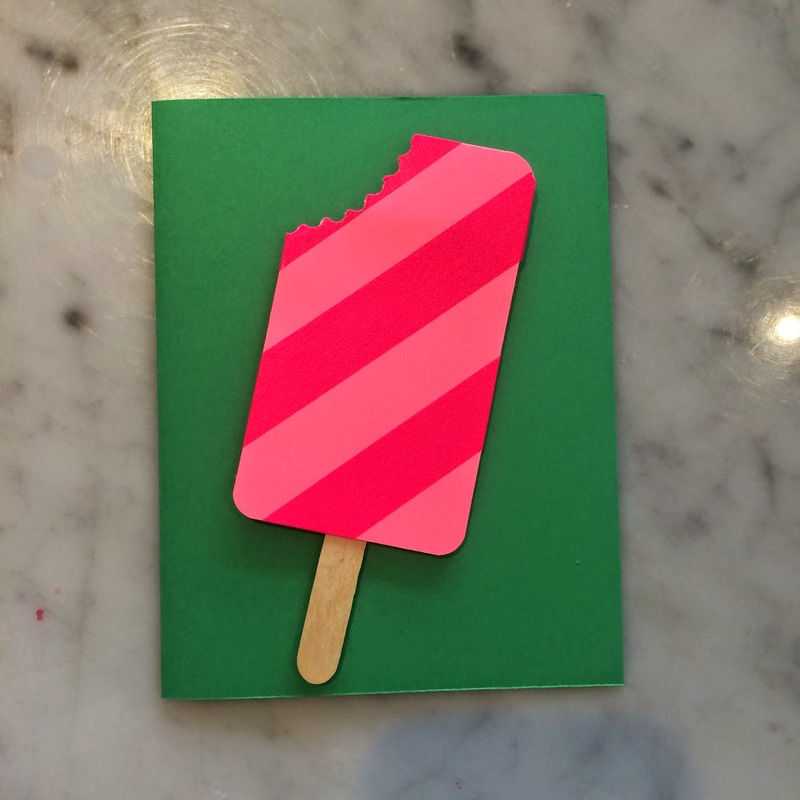 The popsicle cards are hot off the press. Or should I say cool?